Welcome to Rome Jet Charter, the premier private aviation brokerage for private charter flights in and out of Rome, Italy. 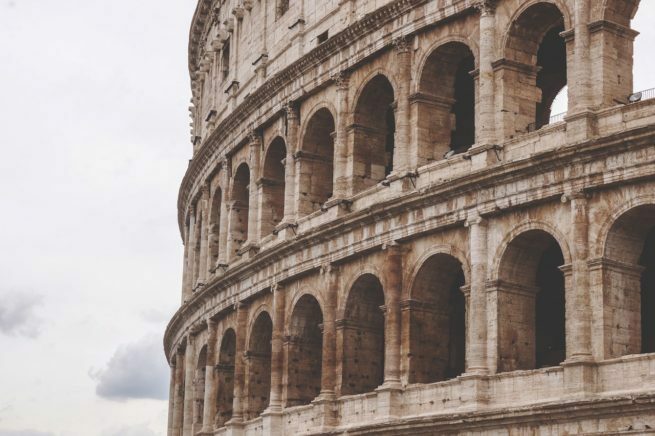 Chartering a private jet to the birthplace of western culture is the best way to get to and from Rome or the Vatican City, and our private aviation team is here to offer the highest standards in executive and leisure travel. Air Charter Advisors offers on-demand private jet and helicopter charter service to/from Rome for executive and leisure travelers, and with access to thousands of private aircraft around the world, we’re confident we can arrange the right aircraft for your trip, whether you’re flying internationally or domestically. Our service and safety standards are among the most stringent in the private aviation industry, and that’s exactly what you want when working with a jet charter brokerage. 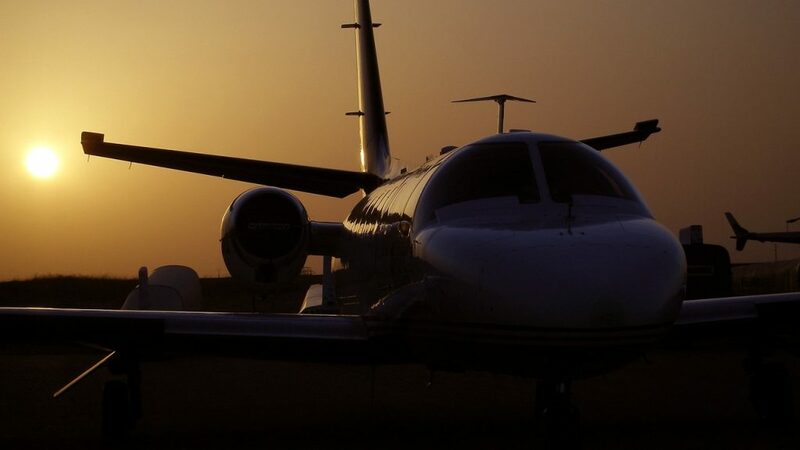 Your personal jet charter broker will be available 24 hours a day and 7 days a week to ensure that your needs are met exactly when they need to be, and nearly any amenity can be arrange upon request. Our private jet charter company is Wyvern-certified, and all of the aircraft we use for flights to Italy are operated by FAR Part 135 or 121 (or foreign equivalent) air carriers. Our Rome Air Charter team offers personal, all-inclusive private jet service to a variety of distinguished clientele, including VIP/celebrities, personal assistants and leisure travelers from around the world. Enjoy the peace of mind you get from working with a jet charter broker you can trust, and let Air Charter Advisors be your local and global aviation solution for luxury air travel, aircraft acquisition and private jet management in Rome, Italy. Request a quote now, or give us a call to book your private flight to Rome, Italy. From arranging gourmet in-flight catering, luxury ground transportation, helicopter lifts and any other requests you may have – consider our Rome Private Jet Charter Service your one-stop shop for all things private aviation in Rome. 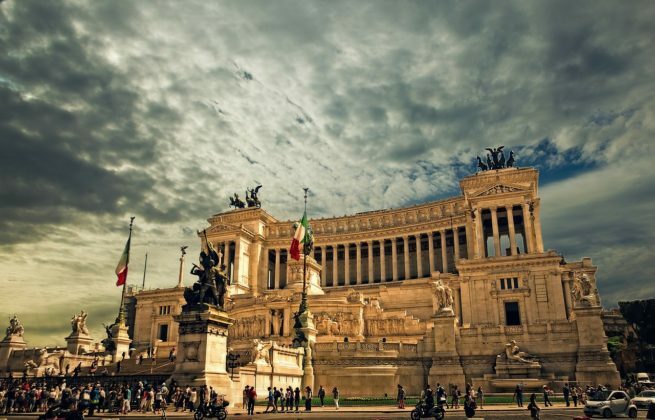 Rome is Italy’s most important city politically and economically, and the domestic route between Rome and Milan is one of the most popular in all of European business aviation. 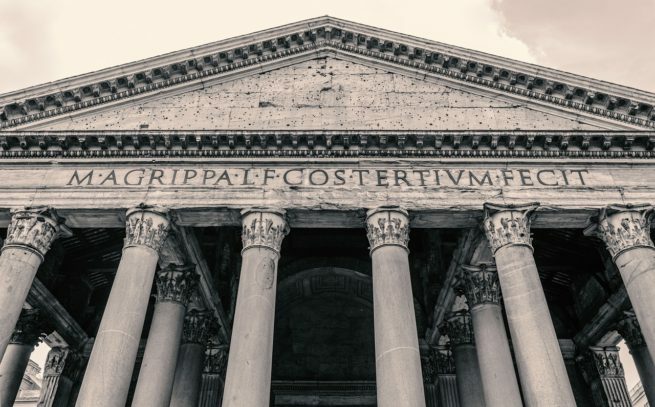 The fashionable Milanese aren’t the only ones crowding the runways; many of our private jet charter clients are have flown privately to Rome for work conferences in the central business district, and for meetings with political figures in the capital. The city is also home to a number of professional conference venues, and the biggest names in Italian business have headquarters in the center. Rome is a major EU and international financial hub – if it were a country, it’s GDP would land it as the 52nd richest country in the world; and Italy is still home to the 10th largest economy in the world, the fourth largest in the EU. The thing about Rome is that almost all of its businesses are small and family-owned, and they account for nearly 70% of the local GDP. 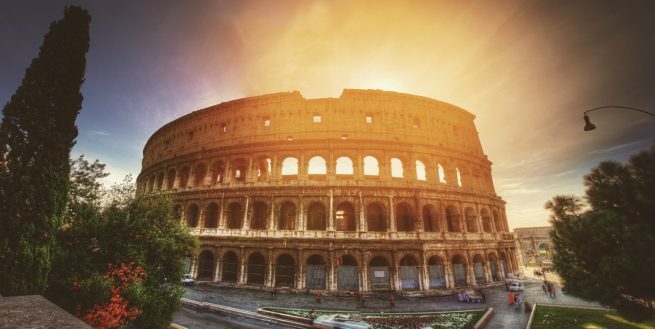 Due to this smaller business-driven economy, Rome boasts the second highest average income in Italy. The city’s largest industries are tourism, fashion, and technology, none of which are likely to change anytime soon. Our team takes the privacy, safety, and comfort of our clients very seriously, and whether you’re flying private to Rome for business or politics, our team diligently reviews the details of the most recent Wyvern PASS reports for pilot safety, aircraft maintenance and operator history. Rome Jet Charter utilizes the same safety standards and due diligence processes that meet and exceed the requirements several Fortune 500 companies apply to their own corporate fleets. If you have a private or corporate aircraft that has a mechanical issue, or you need to arrange simultaneous trips for your business executives, we can arrange a supplemental lift to Italy in as little as 4 to 6 hours. Our private jet charter team also offers unlimited quotes with zero obligations – if you’re a fractional owner or a jet card member, give us a call and compare us to your current plan! Most of our private jet charter clients tell us that Rome (Roma) is a pretty slow city. The less-than-adequate public transportation, midday riposos (naps), and heavy meals seem to render the pace of life molasses slow. This slowness affects everything from government and business to shopping and commuting. Yet it’s the seductively slow lifestyle that turns a visitor’s weekend jaunt into a month-long excursion, and it’s why Rome is such an excellent private flight destination. The city is thousands of years old, so it can’t really help its convoluted, meandering nature. It really doesn’t need to, though. That’s where the appeal lies. People generally wake up around 7-8am, work till about 2, and then rest until 7 for another hour or so of productivity. During this time, Romans tend to do everything slowly – other than speaking and driving. If you find yourself in the area with nothing to do, check the Estate Romana to find out what’s happening in the city on any given night. After your private charter flight to Rome, you’ll find that the culture and way of life are much different from other parts of the world. 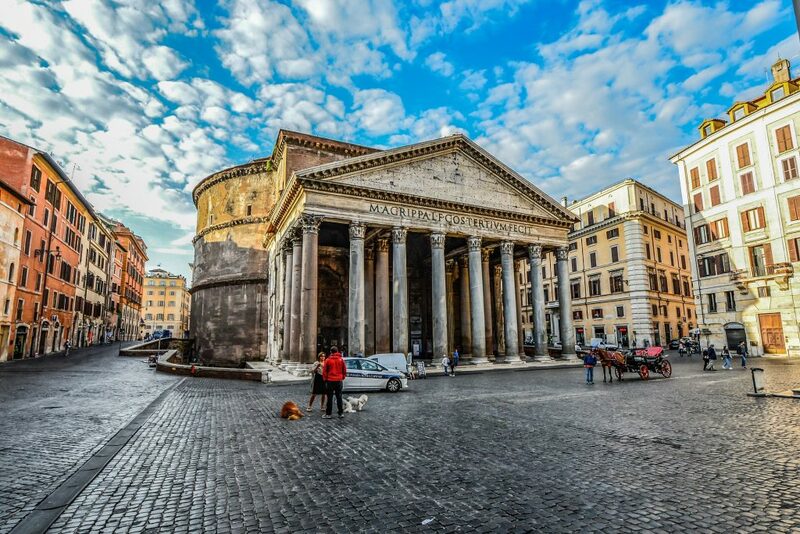 Most large cities are hustle and bustle, contemporary architecture, and crazy nightlife; Rome often seems to be the antithesis of the modern day capital city. We can arrange your chartered private jet charter flight there, if you’d like to see for yourself. The nightlife in Rome is a bit different from the rest of Europe. Liquor, clubs, live music: that’s Europe. Gelato, long walks, wine: that’s Rome. As long as the weather is good, the local piazzas will fill up with people and families. They’ll enjoy gelato, maybe have a drink or two; it’s generally a scene of good wholesome fun. Make your way to the Piazza Navona after dark and enjoy some live entertainment, or be friendly and catch an invite to the spontaneous house parties that pop up around the center. If you see an enoteca (wine bar), make sure you walk in and say hello – maybe have a glass and chat with the bar’s regulars. It’s a simple nightlife, and all you need to enjoy it is a healthy helping of wanderlust. Though it can get a bit quiet after the sun goes down, the city is in constant flux when it’s up. Traffic stretches for miles, motorbikes weave in and out of cars and around sharp bluffs, and pedestrians do their best to avoid them; it’s a chaotic scene. However, that healthy helping of wanderlust can serve visitors very well in the daytime, as well. From ancient piazzas and structures to beautiful parks, street side cafes, and enotecas, there’s a gem to be found around every corner, so walking is definitely the best way to see everything. Surround yourself with history in Italy’s capital, and let it turn your trip into a walk through the past. The streets are anything but symmetrical, or logical in Roma. Trying to navigate without a map or some technology is sort of like winding through a maze with a blindfold on. It almost seems as if the same street you walked the day before landed you somewhere else today. However, it’s hard to get upset at the nonsensical aspect of it all because it’s just that gorgeous. You forget you’re walking, or how hot it is, or how lost you are. Instead, you look at the bricks and the roofs and the doors and windows that have looked the same for centuries. You think about the generations of people, and the thoughts that ran through their heads as they walked exactly where you’re walking right at that moment. This feeling always pervades a trip to the Eternal City, and it’s only enhanced by the various monuments and sites throughout the area. You’ll see original examples of Roman, Renaissance, Baroque, and Rococo architecture – never knock offs. When one thinks of Rome, images of Roman emperors eating grapes in pristine throne rooms come to mind. You think of the Colosseum, the Pantheon, and Plato, Socrates, and Aristotle. Then you get to the city, and it becomes impossible to remove those images from your mind, because all of it is right in your face – history staring at you. This same imposing feeling bleeds into the lodging options in the area. Absolute luxury makes itself right at home in the heart of century-old buildings. Coat-tailed staff members cater to your every desire and enhance the experience from good to amazing. Regardless of hotel choice, every suite will offer postcard-worthy views, decadent interiors, and generously appointed living spaces. Your experience may vary depending on the neighborhood you choose. For instance, staying in Piazza Navona or Campo de’ Fiori will give you the most access to the center of Roma. If you prefer extra amenities and more decadent lodgings, then Piazza di Spagna is going to be your best bet. For those that really want to experience traditional roman life, the various bed and breakfasts and boutique hotels just off center are excellent options. There really is something for every occasion. However, with all the choices, choosing the right one can be a daunting task. To help out with that, we’ve got a few suggestions. Our hotel list is based on jet charter client feedback and online reviews, so it’s a great place to start your search. Read on to check out our list of the best places to stay after a private flight to Rome, Italy. Romans take three things seriously: family, food, and (to a slightly lesser extent) shopping. The food in Rome is basically the complete opposite of the United States in terms of ingredients. Whole, organic foods are extremely easy to come by, while frozen and processed items come at a premium. Some local tomatoes, beef, sauce, and some simple preparation, and you’ve got yourself a gourmet meal that practically no one could screw up. Add to that some water-cheap locally sourced wine, and you’ll be set to impress. However, the local chefs probably know a thing or two that you likely don’t. Innovation is often frowned upon in the traditionalist food culture, but perfectionism is not. For this reason, the trattoria menu is going to be very similar in most places; the chefs focus on making traditional food perfectly, rather than branching out and preparing different dishes. Aside from the traditional dishes, make sure you try some Roman fried rice balls in the supplì stalls throughout the city; they’re pretty tasty. Though the shopping capital is going to be up north in Milan, Rome is an extremely close contender. It is often said that in Rome, shopping is an art form in itself. If you’re planning on taking part in the tradition, the best place to start is in Piazza di Spagna. Fendi and Armani, Dolce and Gabana, the list of world-class designers goes on. As you move from the queen bee area into Piazza Navona and Campo de’ Fiori, you’ll find a myriad of more boutique and specialty shops. 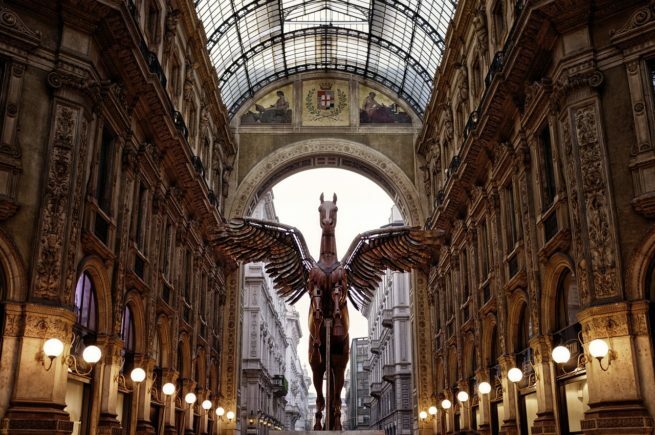 The best part is that the shops are all within walking distance of each other, so you can get ready to shop till you drop after your private charter flight to Rome. The Vatican City is a sovereign city-state surrounded by Rome, Italy, and the headquarters of the Roman Catholic Church. Mediterranean or Roman adventures would be incomplete without visiting the Holy City; from its masterpiece works of art to its spectacular Renaissance architecture, the city draws visitors from all around the world every year. 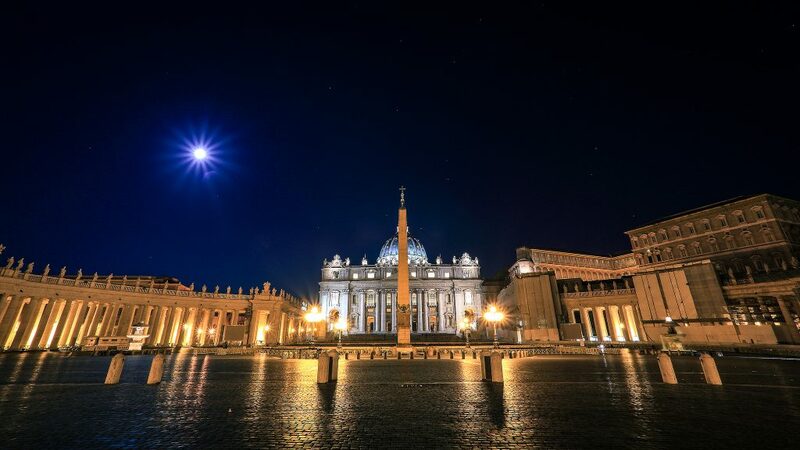 From devout Catholics to non-religious globetrotters, the Vatican city is a top destination for any traveler, and a popular choice among our private jet charter clientele. 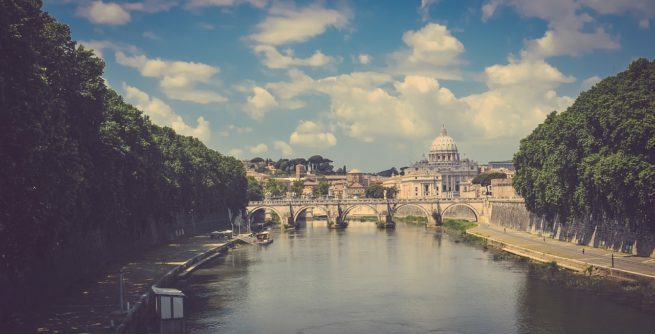 Located within the borders of the eternal city of Rome and across the river from its historic center lies the Vatican City, home of the Pope and the Catholic Church. While the Vatican is no bigger than a golf course, it is home to a wealth of priceless art and some of the most magnificent religious architecture in the world. The city’s Holy buildings are massive in scale, beginning with the Italian Renaissance church, St. Peter’s Basilica. The building was originally commissioned by Emperor Constantine in 324 at the site of Saint Peter’s crucifixion, and was redesigned in the 16th century by Renaissance artists such as Michelangelo and Bernini. Michelangelo designed and painted the immaculate dome, large enough to fit the entire Statue of Liberty inside of it. Twice. St. Peter’s Square provides an appropriate approach to the Basilica. The square was mostly designed by the famous artist Bernini, featuring colonnades, two fountains and a 25m tall Egyptian obelisk. Papal services can be attended in the square on most Wednesday mornings at 10:30am local time. As the center of the Roman Catholic Church, the Vatican City, along with its surrounding districts of Borgo, Prati and the area around the Monte Mario, contain more history and artwork than most cities in the world, and its renowned art and architecture is cause for many private flights from around the world. The Apostolic Palace is where you’ll find the Sistine Chapel, Michelangelo’s famous ceiling fresco, as well as Raphael’s Rooms, Clementine Hall and the Borgia Apartment. The Palace also contains the Papal Apartments and the government offices of the Holy See. The Holy See uses Latin as its official language, and scholarly travelers are invited to test the urban legend of getting around the Vatican using only the “dead” language. The nearby district of Prati offers private luxury travelers many upscale dining and shopping opportunities – Hostaria Dino e Toni is a popular tourist spot known for their large portions; Cacio e Pepe is famous for their magnificent carbonara; Jolly specializes in Sardanian cuisine with perfectly prepared seafood. The Prati district is great for retail therapy as well, with boutique shops and cafes lining Via Ottaviano and Via Cola di Rienzo. A breathtaking nighttime stroll along the Via della Conciliazione is not be missed, though some Italians will say they miss the Borgo neighborhoods destroyed by Mussolini in order to create it. Head up Monte Mario, the largest hill in Rome, for amazing views across the entire Vatican, as well as the Tiber River. Rome Jet Charter arranges private jet charter service to/from Rome, Italy using the following local airports. Choose between private jets and turbo-props in a variety of configurations, all Wyvern-certified and reviewed by our brokers for operator history, aircraft maintenance, and pilot experience. Rent a private jet to Ciampino–G. B. Pastine International Airport (IATA: CIA, ICAO: LIRA), the busiest private jet airport in Rome and one of the most requested routes in European business aviation. Rome Ciampino Airport is commonly known as Rome’s city airport due to its proximity to the city center, and it’s open 24 hours for private jet charter service. The route between (CIA) Ciampino and (LIN) Milan Linate is the most popular private jet route in Italy, and consistently ranks as one of Europe’s top business aviation routes. The airport features a single 7,244 foot bitumen runway to handle general aviation traffic, and there are five FBOs located at CIA Ciampino for quick and efficient departures/arrivals, as well as guests service for private jet travelers. Fly private to/from Fiumicino – Leonardo da Vinci International Airport (IATA: FCO, ICAO: LIRF), a a major international airport in Rome and one of the busiest in Europe. Fiumicino is located around 22 miles west of the historic city center of Rome, and in 2015 FCO served more than 40.5 million passengers. (LIRF, FCO) Leonardo da Vinci–Fiumicino Airport features 4 asphalt runways, all long enough to accommodate any size aircraft for private or commercial flights, and there are five terminals to handle the heavy volumes of passengers at Italy’s busiest airport. Fiumicino is co-named after Leonardo da Vinci, the famous Renaissance icon who designed the first proto helicopter, as well as a winged flying machine in 1480. (FCO) Rome Fiumicino, also known as Leonardo da Vinci International Airport, is the busiest airport in Rome and mainly serves scheduled airlines (the main hub for Alitalia) and air cargo. Private jet clients usually prefer (CIA) Rome Ciampino airport, which focuses on general/business aviation, and is open 24 hours a day. Book your private flight to/from Rome Urbe Airport (ICAO: LIRU), also known as Urbe Airport, a small civilian airport located in the northern part of Rome, between Via Salaria and the Tiber River. The airport is located 3 miles inside the Greater Ring Road (Grande Raccordo Anulare or GRA), the highway system that circles the city. (LIRU) Rome Urbe features a single 3,543 foot bitumen runway, making it perfect for domestic flights within Italy on turbo-props and select light jets. Call or request a charter quote to Rome Urbe Airport today. The following are examples of hourly rates for private jet, turbo-prop and helicopter rentals in Rome, Italy. Due to the high-volume of flights to/from Rome, many operators offer empty leg charter flights, which can greatly reduce the cost of your rental. Rome is one of the busiest private aviation hubs in Europe, and our team has access to the following Wyvern-certified aircraft, many of which are based in Italy and surrounding areas of Europe. Every aircraft we utilize is operated by FAR Part 135 or 121 (or foreign equivalent) air carriers, using only veteran pilots in the private jet you’re renting. We’ll provide you with a variety of options based on your goals and budget, allowing you to charter a cost-effective aircraft, or the most luxurious private jet on the market. Check out our Aircraft Gallery for more details on all of the aircraft available for your trip. Request a Quote or give us a call at 1-888-987-5387 to speak with one of our Rome Private Jet Charter agents for your next luxury vacation, business trip, or special event. Our team is available 24 hours a day, 7 days a week to assist you in all aspects of private aviation. We offer free, non-committal quotes with some of the highest standards in private aviation.